This is how one student felt when her parents told her about going to Pine River. It can feel like your parents are throwing up their hands and sending you away. But as you will read in the students’ own words below, it’s quite the opposite. You might be the one coming to the program but your parents, siblings, even extended family members, in some cases, are expected to do their own work alongside of you. Pine River is not pointing a finger at you as a problem that needs to be fixed. You are part of a whole, and the whole needs help to heal and grow. I [have been at Pine River for six months] and I can already say my life has been changed. First let me start off by telling you how I was before PRI. I was doing an excessive amount of drugs, and drinking a ridiculous amount of alcohol every single day. I would go to work at 12 pm, get home at 7:30pm and instantly start numbing my body with substances. I also had/have a pretty bad relationship with my father, BUT each day I work to improve that relationship. PRI has taught me many things about my life. When I was told that I had an assessment to see if I was the right fit for the program, my first thought was to bomb it. Make myself seem like I was a good kid. When I looked the place up, I instantly said I didn’t want to go. When my family made me promise to give the place a fair shot, I said ok, and truthfully I don’t regret it in the slightest. Obviously going to a therapeutic boarding school sounds terrible. But this place isn’t bad at all. Everyone I have met here is grateful to have gotten the chance to be here. Sure sometimes it’s rough, but I guarantee the life that you’re living right now is worse. At PRI they teach you how to cope with your specific issues in a HEALTHY way. The food is AMAZING and on top of that the people you meet here actually CARE about you. Your family learns how to become attuned to your emotions, and you learn to become attuned to theirs. Truthfully, being at Pine River has saved my life, and I would encourage anyone who has the chance to come here to do so as soon as possible. Pine River for me has been a tough but exciting and life changing journey in so many ways. I can finally say I have my life back on track after dealing with so many struggles, from failing high school to having trouble with the law. When I first came to Pine River I was really anxious and didn’t know what to expect. But as the time went on I forgot about everything and started enjoying myself and making the most out of the program, starting in the woods and then at the school. I’ve experienced Pine River as an extremely safe place for people to open up and come out of their shells. Pine River is like its own small community where people work and develop skills together, and support is always around from both staff and students whenever anyone is struggling. Pine River has benefitted me in many ways, from learning about myself, to repairing with my family and friends, and even learning skills for the outdoors in the woods program. Pine River has helped me manage and regulate my emotions when I need to, and has also shown me a healthier and safer way of living life. I personally would like to say the therapists here are extremely caring and supportive, and are dedicated to helping the students. They are incredible at what they do. Pine River is structured and holds all the students to the same standard. Pine River has taught me how to maintain my relationships by accepting limits and setting boundaries. I also feel like I have a lot more self-confidence and I am able to hold myself to a higher standard. In general Pine River really helped me mature and align with adults. I feel like over the months you stay here you start to consider people on your team as your own family, due to how much you learn about each other and how you are literally always there for each other. Pine River is not only a beautiful property but massive and supports all types of physical activities such as volleyball, basketball, soccer in the summer, and broomball, skating and hockey in the winter. 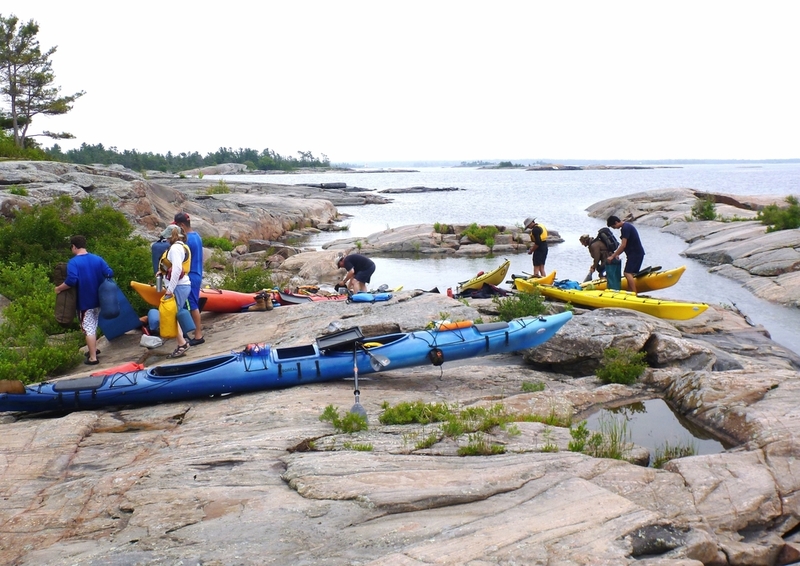 I have also had the chance to experience all kinds of things I wasn’t exposed to before I came here, such as kayaking, canoeing, mountain biking, and cross- country skiing. I am glad I came to Pine River because now I feel like I’ve actually found myself from all the past years. I can finally say I’ve developed the skills required to stand on my own two feet and be responsible and independent. I am proud to say I have now achieved a breathtaking 22 university level/academic credits, having started here with only 6 credits. My future plans are to go on to university next year and continue building connections that are important to me. Piece of advice for new students: There are going to be struggles through the program but the best thing to do is keep your head up and stick to it. At the end you will be a lot more grounded, comfortable in your own skin and around others, and you will understand yourself a lot better. You will learn a lot about life and won’t regret your time here because every second is worth it. Trust me. On this Day last year, I left the woods and entered the school. I also had the plan to leave with my parents when they came to visit me on Christmas Day. Thirteen months and 21 days later, here I am. I didn’t want to come, and I sure as hell didn’t want to stay, but for what seems to be the first time in my life, I’ve actually seen something through. When I came here last year I really didn’t know what I had agreed to doing, and I truly believed that I was perfectly fine just the way I was. I referred to myself as a princess, and it was pretty accurate. I didn’t care about anybody but myself, and would go to great lengths just to be okay each day, not matter who I hurt in the process. I did what I wanted when I wanted, and if anybody tried to set a limit with me I blatantly disregard it by making excuses for myself about why I needed to do what I wanted. I went to 4 schools in less than a year, and kept telling myself that every new school would be that fresh start I needed, the change to make everything okay. I couldn’t see that the problems I was having actually came from my emotions, or that I was using copious amounts of substances to try and push them back down. I can’t really put into words the gratitude I have for my parents for getting me here, and my team [of students], and of course [my therapist] for supporting me every single day. I’ve actually been dreading this day because I hate goodbyes; I usually just avoid them altogether. Just another time this place is forcing me to face something I don’t want to! To say I learned a lot would be a drastic understatement. I learned more than I ever would have imagined. Although I didn’t always agree with the Pine River rule book, it got me to this chair today and for that I can’t help but appreciate this place I used to refer to as jail. I’ve gotten to know some decent people, although some of you have driven me a little bit crazy at times, and I’ve got some ridiculous memories that will probably stay with me for a while. Like any normal person it’s been a roller coaster of good and bad times. PRI isn’t easy, and if [you think] it is, like I thought until stage three, you’re probably BS-ing your way through it, and in the long run that won’t do you much good. To those of you who are new, stick with it, don’t bother AWOLing [running away], and be open. If you don’t let people in, you can’t let yourself out, and that will be what makes the difference between staying the way you are that got you here, and making the changes that you are capable of making. WHAT DOES A DAY AT THE CAMPUS LOOK LIKE ? The average daily schedule covers two to three hours of academics, two hours of physical activity, two hours of group therapy, one hour of expressive arts such as art, music or drama, free time and chores. There’s a gym with lots of equipment, an outdoor basketball court, volleyball, big playing field, trails for hiking or cross-country skiing (and all the equipment). There is special programming throughout the week, community service, and family activity days on weekends. And OF COURSE great meals and snacks every day.